In this course we will be mindful of an important distinction between #blacklivesmatter (as an emergent movement that has come into existence within roughly the past two yeaars) vs. a much older and broader U.S. movement for black lives that has been in existence for several centuries (which can be traced back to at least the first slave uprisings in the antebellum south). Part of our goal then, we be to think about how the former has been influenced by the latter and to what ends. Among the many topics of discussion that we will debate and engage this semester will include: the moral ethics of black rage and riotous forms of protest; violent vs. nonviolent civil disobedience; the hyberbolic media myth of “black on black” crime; coalitional politics and the black feminist and LGBTQ underpinnings of the #blacklivesmatter movement; the similarities and differences between the blacklivesmatter movement and the U.S. civil rights movement; and the dynamics of political protest among the millennial and post-millennial generations. Taking our cue from radical intersectional ethos of #blacklivesmatter, our reading material this semester will center the voices of the constituency that has played the biggest role in creating and sustaining this movement: black women. You should approach this syllabus as a jazz composition—meaning there must be a willingness and expectation of improvisation. Like a jazz musician, we will occasionally rift, edit, and “trouble” the composition as needed. Any changes to the syllabus will be announced in a timely fashion. Trace the history of the phrase #blacklivesmatter—and understand the underlining political and social conditions that facilitated its emergence as a major U.S. social movement. Identify the key issues, debates, organizations, and ideas that have critically informed this movement. 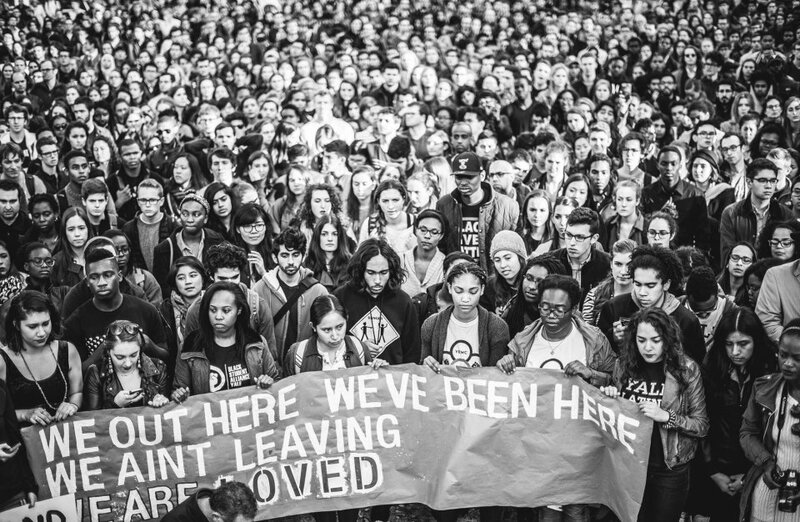 Situate the contemporary black lives matter movement in the context of a broader, centuries-old tradition of radical black freedom organizing. Articulate the politics of blacklivesmatter’s intersectional ethos; thus affording an opportunity to think critically about the overlapping nature of social categories such as race, gender, sexuality, and class. In this session we cover some essential questions: What is the history of the Black Lives Matter movement? What are the guiding principles of the movement? What are some of the major public misconceptions of the movement? How do we distinguish between BLM the organization and BLM the movement? Who have some of the movements key organizational players been? What conceptual differences are there between “the black lives matter movement” vs. “the movement for black lives.” What does any and all of this have to do with the remaking of American democracy? *Cornel West, Chapter 1, “Democracy Matters: Winning the War Against Imperialism” [Part I, Part 2]. In this session we study three important “moments” in the earliest stages of the black lives matter movement: the Ferguson rebellion uprisings of 2014; the #ConcernedStudent1950 student protest movement at the University of Missouri; and the black student protests at Yale University in 2015. September 28, 2017: Whose Streets? In many ways, the Ferguson rebellion of 2014 was a “ground zero” for the movement for black lives: it thrust the movement into the national spotlight and sparked the attention of the globe. In this session we explore Sabaah Folayan and Damon Davis’s powerful documentary, Whose Streets? which tells the story of the Ferguson rebellion. Contrary to what mainstream media would have us believe, black lives matter has always been a movement organized around specific sets of demands. Though it is true that these demands have been varied and shifting, the fact remains that BLM has always had concrete demands (whether it be the early demand that Police Officer Darren Wilson be indicted for the killing of teenager Michael Brown or the more recent demand that police departments across the nation be defunded and demilitarized). This week, we will focus on the history of the movement’s shifting demands. In an attempt to respond to the often-asked question “What do they want?” – we will closely examine the 2016 platform statement of the Movement for Black Lives. Finally, we will also seek to put pressure on the assumption that policy/legislative reform is the most valuable way to measure the “success” of a social justice movement. Black Lives Matter is a movement grounded in the creative labor and organizing genius of black women. In this following two sessions we explore the feminist/womanist underpinmngs of BLM, and connect to a broader history of black feminist thought and practice. 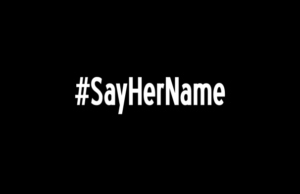 Special attention will be paid to #SayHerName, a national organizing campaign created by the African American Policy Forum under the leadership of black feminist legal theorist Kimberle Williams Crenshaw. 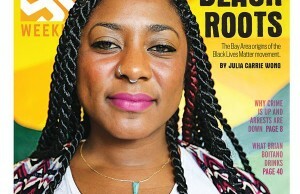 African American Policy Forum, Say Her Name: Resisting Police Brutality Against Black Women. Black Lives Matter is a movement grounded in the creative labor and organizing genius of black women. In this session we explore the feminist/womanist underpinmngs of BLM, and connect to a broader history of black feminist thought and practice. Special attention will be paid to #SayHerName, a national organizing campaign created by the African American Policy Forum under the leadership of black feminist legal theorist Kimberle Williams Crenshaw. From Michael Brown and Eric Garner to Tamir Rice and Freddy Gray, from its inception the movement for black lives has called attention to the epidemic of police violence against communities of color. The deaths of black men at the hand of the police have tended to receive more significant media attention (for a variety of reasons, which we will discuss for better and worst). In this session, we pay particular attention to the criminal justice system’s relationship to black men. In this session we examine BLM’s populist appeal. More specifically, we pay attention to the vital role that commercial artists have historically played in amplifying the concerns of black freedom movements. Whether it be Nina Simone and Billie Holiday or Harry Belafonte and James Brown, historically black artists have played important roles in using their platforms as a means of amplifying the struggle for black communal liberation. From Kendrick Lamar’s “We Gon’ Be Alright” and J. Cole’s “We Just Want to Be Free,” to Jesse William’s BET award speech and Ava DuVernay’s Selma—the age of BLM has given birth to a resurgence of commercial black popular culture as a site of sociopolitical critique. Our discussion this session will focus on Beyonce Knowles’s visual album Lemonade. *Zandria Robinson “How Beyonce’s Lemonade Exposes the Inner Lives of Black Women.”Rolling Stone, April 28, 2016. *Candace Benbow, “Beyoncé’s “Lemonade” and Black Christian Women’s Spirituality.”Religion and Politics, June 28, 2016. *Wendy Syfret, “the storv of messy mva. the tragic voice on beyoncé’s new track” Vice com, 9 February, 2016. *Syreeta McFadden, “Beyoncé’s Lemonade is #blackgirlmagic at its most potent.”The Guardian, April 24, 2016. *Omise’eke Natasha Tinsle, “Bevoncé’s Lemonade Is Black Woman Magic“. Time, April 25, 2016. This session focuses on the abolitionist underpinnings of the black lives matter movement. 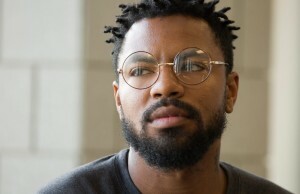 We will wrestle with an internal debate that BLM activists across the country are currently engaging: are the institutions of the police and prisons beyond the point of “reform”? In other words, should our focus be on “reforming” broken institutions (such as the prison system or the police) or is now time for us to consider dismantling these institutions altogether? Moreover, we will define “abolitionism” as not simply the dismantling of broken institutions—but also a commitment to creating and building new worlds. Guest Speaker Session, To Be Announced Mid-Semester. Black feminist organizer Adrienne Maree Brown has argued that community organizing (such as the kind that #blacklivesmatter is rooted in) constitutes what she calls “science fictional behavior.” In other words, organizing for change requires a speculative imagination: a willingness to imagine new worlds that have not yet arrived. A world without war; a world without racism; a world without classism; a world without homophobia: these worlds do not yet exist. And yet, if we are to survive (particularly “we” who are woman, brown, working class and/or queer) these worlds must be created. In this session we think about the relationship between radical organizing and the radical imagination. 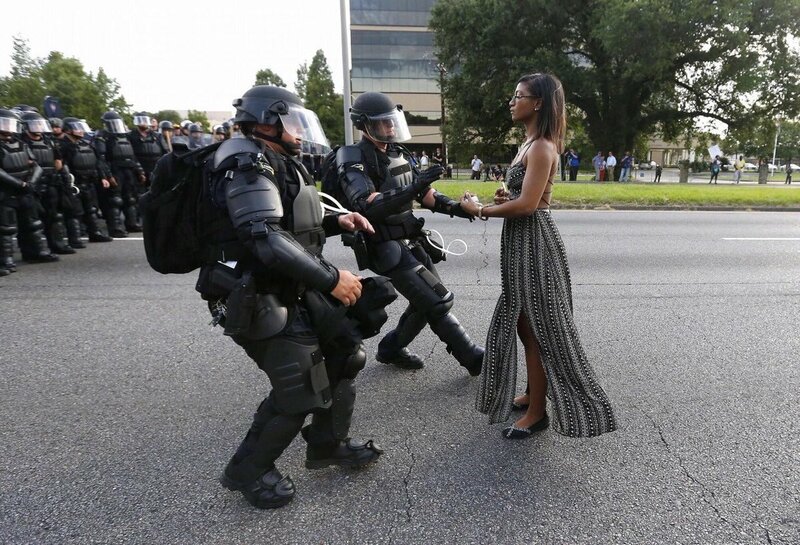 We will think about the blacklivesmatter movement as a movement that is attempting to build a new world–a world where the lives of all people actually do matter. “It is our duty to fight for our freedom. It is our duty to win. We must love and respect each other. We have nothing to lose but our chains.” These words—which have become a familiar anthem for the movement for black lives—belong to political prisoner Assata Shakur. In this session we examine the legacy of Shakur and reflect on why her story continues to resonate with a generation of black freedom fighters.